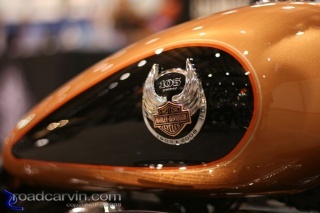 See our summary of the Harley-Davidson 2008 models taken from Harley-Davidson's official announcements. 2008 Harley-Davidson models announced on the H-D website (see Offsite Links section below). Visit our new summary of 2008 Harley-Davidson models certified for sale in California extracted from California Air Resources Board (CARB) online documents. According to various sources, Harley Davidson is dropping some models from its line-up in 2008. As previously communicated in the 2008 model year forecast letter, the following models will be discontinued in the 2008 model year. The VRSCR, VRSCX (limited one year offering), XL50 (limited one year offering), FXSTD, and the FLSTSC. 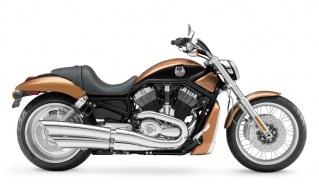 In addition, the FLHRS, FXST, FXDWG, and the XL883R will also be discontinued in the 2008 model year. I note that these 'discontinuations' don't really mean much since we haven't yet heard about new models that may replace the dropped bikes. Author: Michael Curry /// submitted on April 24, 2007 - 7:11am. Submitted by guest (not verified) on June 8, 2007 - 3:00pm. Search for 2008 harley and you'll see some interesting documents. They list the 2008 HD models that are being certified for sale in California. Submitted by John (not verified) on June 20, 2007 - 8:30am. Do you have any info on whether they will put ABS on the Baggers? Submitted by guest (not verified) on July 7, 2007 - 6:14pm. Submitted by scott (not verified) on July 20, 2007 - 1:22pm. Brembo ABS is an available factory option ($895) on all of the touring lineup. They will be hard to get on the first shipments of the 08's but by September you will be able to see them on the showroom floor. They are NOT an dealer installable option. This dealer's page has a poster showing discontinued models. Forum post purporting to contain a list of discontinued models from dealer letter. Neil Hodgson looking good in the morning through turn 5. When will ALL Harley-Davidsons be water cooled? * 2010 * 2011 * 2012 * 2013 * 2014 * 2015 or later * NEVER! Real Harley-Davidsons are air-cooled!